The Nigeria Labour Congress (NLC) and the Trade Union Congress, (TUC) has today staged a solidarity protest against the President of Zimbabwe, Emmerson Mnangagwa on the ongoing injustice and killings in the country. The President of NLC, Comrade Ayuba Wabba while speaking in Abuja decried the high spate of injustice, and abuse of human right. “We condemn bad policy of government, and killings against the people of Zimbabwe. Furthermore, Comrade Wabba said President Mnangagwa has taken law into his own hands ,and has undermine citizen’s right to protest freely on policies that are anti-people. “ We are here as NLC to show solidarity and also to express our disdain to the President of Zimbabwe , because it has shown clearly that he has taken law into his hands .and undermine policies meant for the wellbeing of the people”. Comrade Wabba thereby demand for an end to the ongoing carnage. While also seeking for the release of all detained trade unionist , and all form of injustice to stop immediately. “ It is on record that Zimbabwe got her liberation and independence due to the support of the people. How can we at this point in time in a democratic dispensation , now turn around against the citizen of that country”. We say no to such carnage, we say shame to the President of Zimbabwe” he added. 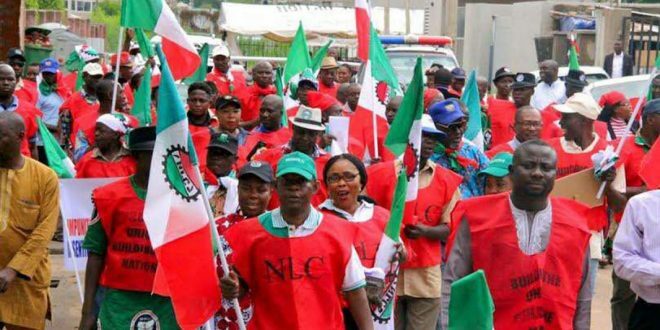 The NLC President further pledged Nigeria’s support for the people of Zimbabwe and other 163 countries of the International Trade Union Confederation. “ We promise that if our letter and agitations are not communicated to Mnangagwa. I assure you that this is just a few number, we will be here in a very massive number and will close down this place until Mnangagwa is ready to respond to our letter” he added.